The Hazleton YWCA is proud to be partnering with Beech Mountain Lakes to host our, 14th annual Open Water Swim Races. 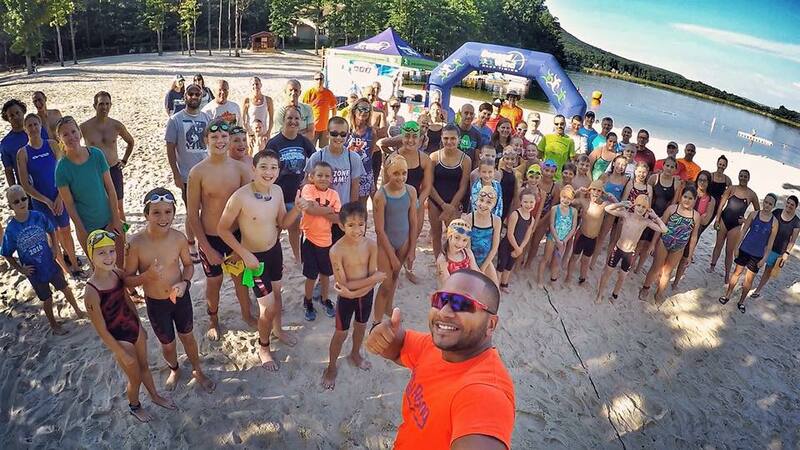 Beech Mountain Lakes is a favorite lake in our area for local swimmer and triathletes to train. It features clean water, a beautiful sandy beach entry/exit point, several playground structures for kids & spectators to play, and great restaurant & deck overlooking the water. AWARDS: Over all Male and Female winners in each event will be awarded. Medals will be awarded to top 3 finishers in each age group; Ribbons 4-10th. ENTRIES/REGISTRATION: Same day registrations will be taken from 7-8: a.m. Avoid the same day registration price increase. Register online. RULES & SAFETY: All races will follow the 2019 USAT wet suit rule for this event. Hazleton Y lifeguards and volunteers will provide safety for this event. Volunteer kayakers are welcome to serve as auxiliary support and must contact the race director for more information and instructions. FACILITY: Beech Mountain Lakes is a private gated community. As guests of the facility we ask all participants to respectfully obey all posted roadway signs, and any instructions given by Beech Mt Lakes security personnel. Also, use of the beach facility has been granted to us only till 10:30. At that time we must conclude our race program and award ceremony. RACE DIRECTOR: Rob Gould will serve as the race director. All inquiries should be directed to him at: rob@secondwindtiming.com.